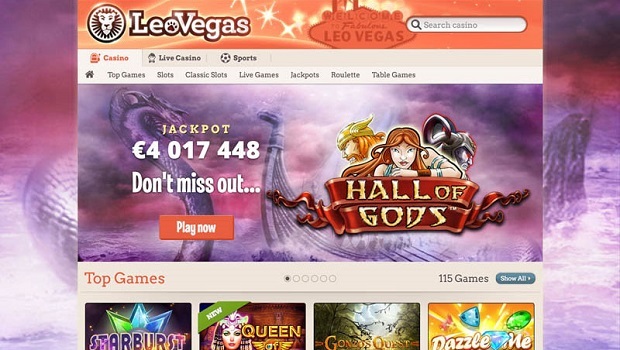 LeoVegas is a casino with a wide audience of gamblers around the world. A striking style, a powerful bonus program, and a serious legal base allow the casino to stay on the list of the most sought-after and famous gambling joints. 5.2. Where can I complain about the casino? 6. Is LeoVegas a scam? LeoVegas is a popular European casino, which offers players more than 900 games, convenient functionality, a mobile application, etc. Of course, as a gambler, you’d like to know for sure whether LeoVegas a pure scam or a serious gaming operator who doesn’t pretend to be fair, but really meets user expectations. As usual, let’s consider all the facts. LeoVegas platform is owned by LeoVegas Gaming Plc., also owning the Royal Panda Casino project. The company was registered in 2012 in Malta and it’s a serious player in the market. The project boasts the awards of the prestigious international exhibition EGR in the Best Native App nomination (“Best User Application”). What’s more, it’s the winner of the Gaming Awards and the International Gaming Awards. LeoVegas offers a large selection of gaming products from well-known vendors, including NetEnd, Microgaming, Betsoft. Cooperation with them is an indicator of the absolute solidity of this gambling joint. This is one of the most loyal operators: a ban on the use of the casino resources has been imposed on citizens of just a few countries (the USA, Afghanistan, Ethiopia, Cyprus, Iran, Curaçao, Iraq, Kuwait, Somalia, Yemen, and Syria). This approach is manifested in many ways: the regulation of legal relations with users, the bonus policy, and the resolution of conflicts. The gambling joint is definitely worth a closer look. We’ll try to understand whether it’s possible to win at LeoVegas. The official casino site exists under several domain names (based on geolocation): leovegas.com/ca/ (Canada), leovegas.com/de/ (Denmark), leovegas.com/fi/ (Finland), leovegas.com/no/ (Norway), leovegas.com/sv/ (Sweden), leovegas.com/ (other countries). The design of the casino resources is catchy, stylish and, at the same time, concise. A golden orange gamma (in accordance with the image of the lion, which is the basis of the concept), narrow fonts, a short menu and the almost complete lack of advertising (only the slider) – all of this allows you to feel comfortable and enjoy the game, without being distracted by various stimuli. The choice of languages ​​is not too large, but nevertheless, the company has provided the necessary minimum to the players: English, German, Norwegian, Swedish, Finnish, Czech and Slovenian. The game collection is impressive and contains more than 900 items, including traditional card games (poker, blackjack, baccarat), as well as keno, bingo, roulette (including interactive) and many more. In addition, there is a separate section on sports betting (they even have their own bonus rules). You can play for money or try demo versions of the originals. As we have told, a mobile application LeoVegas has many awards. It’s based on the Mobile Labs B.V. software. The mobile version is supported by iOS and Android devices and weighs only a few MB, so it doesn’t affect the phone’s performance. In the collection of the application, there are more than 600 games optimized for touch screens. The interface is almost indistinguishable from the browser version and it’s very convenient. 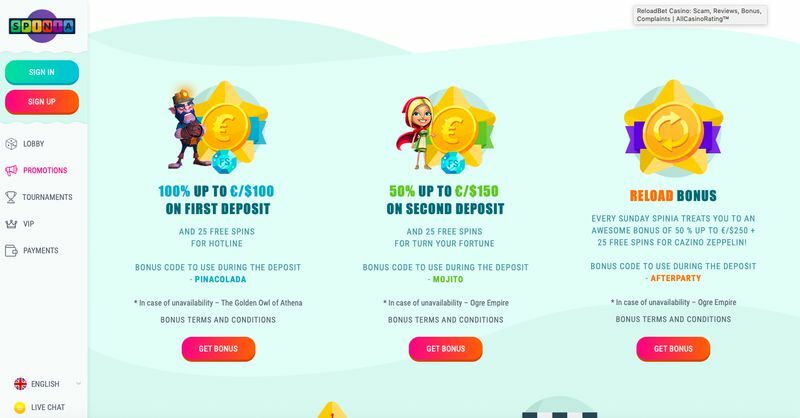 The bonus system differs from what’s available in the online version only in amounts, but the LeoVegas program itself is the same: no deposit bonuses, bonuses for the first 4 deposits, event promotions and tournaments. As you, see, it’s a convenient and functional application. Unfortunately, LeoVegas doesn’t have a version for installation on a personal computer. Taking into account that the casino has been on the market for more than 6 years and it has already moved from the category of beginners to the category of experts, it makes no sense to expect this version to show up. As we have already described in other reviews, the tendency to abandon physical binding in favor of mobility has led to the fact that almost no popular casino has an agent to install. Meanwhile, offline has its advantages: independence from the Internet provider and clampdowns of the regulatory authorities of the country, as well as security when entering username and password, which can be easily stolen in an unprotected browser. The live casino event line includes over 40 items. You can try blackjack, baccarat, poker, roulette (by the way, LeoVegas has an interactive roulette, which creates the mind-blowing staginess and a sense of immersion due to filming with several cameras at different points in the hall). Croupiers are well trained and quickly make decisions. You can choose a table with a dealer of both female and male sexes. During the game, there is an opportunity to ask a question or just chat in a live chat. The language is predominantly English, but there shouldn’t be any special problems with the online translator. As for the color rendition of the picture, it good enough. Moreover, you can reduce the screen resolution, if the broadcast suddenly starts freezing (however, we haven’t noticed it). LeoVegas works with a large number of studios, which speaks in its favor. The operator has signed contracts with such prominent gaming software makers as Play’n’GO, Microgaming (Quickfire), Big Time Gaming (BTG), Elk Studios, Edict eGaming GmbH, NetEnt, and Betsoft Gaming. Collections are constantly updated, and the partner list is becoming wider. That’s undoubtedly a pleasant trend because many modern operators maintain the same library that was originally collected, without updating it at all. At the very first steps registration on the website or in the LeoVegas application will require you to confirm your personal data (the provider will send a letter to the e-mail specified in the questionnaire) and location (by the entered postal code). At the same time, the system will be able to recognize whether the postal code specified by you corresponds to the country in which the device is currently located, even if you try to log in from a closed connection/via VPN. Alternatively, you can refuse the bonus offer at all. After successful authentication, you will enter your personal account with information about the current balance and methods of depositing/withdrawal, available promo, settings and editing of your personal information. The menu is simple and convenient. Transitions to the game lobby and back are quick. In general, the developers provided everything to make it convenient for you to use your personal account. The bonus program of the gambling joint is very diverse. Of course, there is no system for accumulating cash backs (only a fixed percentage of return when making a deposit). The LeoVegas VIP program is also missing. The promo code and everything connected with it isn’t perceived by the administration as something substantial. However, the casino offers a good starting package. After registering on the site LeoVegas you get a no deposit bonus: 20 free spins in the machines. They are valid only a week, and in order to ensure a profit, you need to wager them at rates of no more than 5 euros and in x35 equivalent. Deposit bonuses account for 400 euros and 80 free spins: 100% (up to 100 euros) and 20 free spins for each deposit. Wagering conditions are the same as in the previous promo. There’s one important point: if you have refused the first bonus, the subsequent ones will not be provided to you either. Among the regular casino promotions, we should mention “Black Friday”, in which users earn reward points for depositing and bets in order to spend them on gifts. They’re organized separately for players with small limits and high rollers (VIP). In both cases, the reward in the game is prize tickets: 1 ticket is given for a bet of €100. In tournaments, participants play for time, and at the end of the corresponding period, the tournament table is formed. The awards are given to 25 people with the highest number of tickets. The prize for the first place is the unlimited VIP shopping, for the second – 1000 euros to the account, and the last 5 positions receive free spins. Payment systems and e-wallets – Neteller, PaySafeCard, Poli, Skrill, Trustly. The minimum deposit amount is 10 euros. The transfer fee from the casino is not charged. However, to receive the payment, you can only use the VISA card (Classic or Electron), transfers using the bank details and several other international money transfer systems. At the same time, the choice of currencies is also small, so it makes sense to convert the currency, and this will entail additional fees and commissions. The smallest amount you can request for payment is 20 euros. However, before the casino administration agrees to transfer these funds to your personal account, it will require the proof of your identity and for this purpose, they might request a number of documents. Among the complaints about LeoVegas, there are those in which users are unhappy with the speed of withdrawals. Here we are talking primarily about controversial situations in which the administration requires additional documents to confirm the identity that makes the request. This requirement is always annoying to users who are already set to receive a win but suddenly stumble on additional obstacles. We only note that approximately 70% of such cases were resolved, judging by the reviews, successfully for the players. They simply took more time than expected. Denmark (the regulator – Danish Gambling Authority, the license numbers – 15-1660384, 17-0700928). License numbers and all the necessary links to review the license information are presented on the official resources of the provider. In addition, in the jurisdiction of Ireland, the country’s tax commissioners oversee the activities of LeoVegas. The operator describes it in detail in the appropriate section of the resource. Among the complaints that casino users leave on the forums, we can mention failures in the game, leading to loss of their winnings. For example, they often complain about the inability to set high limits in the bonus game. Legally, they have nothing to complain about because they signed the Agreement, in which they assume responsibility for such risks (we will talk more about this later). In fact, most customers managed to receive compensation simply by contacting the site’s support and giving a detailed description of the situation. Negative reviews about the long-term verification in LeoVegas are in second place in the list of the user complaints, but we have already told about them. Finally, the third place is occupied by claims related to the accrual of bonuses. The players complain that they can’t use the accrued spins, and the administration, first polite and helpful, is no longer in touch with them. Of course, much of the above is hard to prove, but it’s still worth thinking about. Where can I complain about the casino? If you are in trouble, using the services of LeoVegas, you need to contact the client support site. You‘d better do it by e-mail (you can write directly to support@leovegas.com, or send your message via the feedback form) so that your appeal could be officially registered. You can also contact one of the regulators at any time. However, in our opinion, it’s worth doing only when it is impossible to agree with the support. If you run the check from above, there is always a chance that you have overlooked something in the User Agreement and you won’t be compensated. In any case, it’s important to stop depositing and playing on casino resources. First, it will help to reduce potential confusion in your game statistics; secondly, it will set up the operator in a more serious way. In order to prevent the mistakes of other users, post a review of the work of LeoVegas on our website and tell us about your situation. Publicity is an important step in the relationship with online casinos. By the telephone of Britain (+44 808 169 9799, paid for Russia and the CIS countries), Sweden (+46 20 075 33 55, it’s also paid for citizens of other countries) and international telephony (0808 189 0184). Through the feedback form/by mail. In online chat (it’s verified that the consultant responds within 1 minute). Also, there is a fairly detailed and structured FAQ to quickly obtain information on the subject of your interest. Users note the friendliness of the casino’s technical support, its desire to solve the situation in the favor of the client and great patience. However, in some cases, the answers of the support team don’t show up, and the process of solving the situation is delayed. Terms & Privacy governs the legal relationship between the casino and its users. It is necessary to get acquainted with it since any disputable situation is treated with regard to these rules. Let us examine a few examples to show that it really makes sense to spend time studying the document. In particular, the clause 2.1.10 determines that inactive accounts (accounts with funds that have not been used for at least 12 months) and “dormant” accounts (accounts with funds that have not been used for at least 20 months) are subject to closure, while their funds will be transferred to the regulator. Of course, you’ll be warned that your account has become inactive, so you could take steps to unlock it. This point is important for those who periodically change casinos and then returns to the “abandoned” accounts. Here, this practice can result in the situation that you have to either register once again or go through a long and tedious procedure of your account recovery. This is a mistakenly accrued reward/bonus. If the operator or the system makes a mistake and you receive funds, they will be considered the property of the casino. Even if you already have time to spend them on bets or even withdraw a certain amount, you will be in arrears. The item is unpleasant because you may not notice the mistake made by the provider and sincerely consider the received funds as your own, dispose of them, but at some point, you find that they have come to zero. This point speaks of the right of LeoVegas administration to request additional documents to verify your identity when applying for a payment of more than 3,000 euros or at any other time. In practice, in addition to a passport, ID card or driver’s license, you may be asked to provide copies of receipts for payment of utility bills, bank statements, payment account data of e-wallets, etc. LeoVegas warns that every player who submitted an application to receive a payment will be checked for violations – using zero, low margin or model rates, hedging, and other fraudulent strategies. If the fact of conducting a dishonest game is detected, the administration will refuse to pay and confiscate all the player’s rewards. It’s noteworthy that LeoVegas, unlike most casinos, clearly specifies which bets are considered to be a “fraud strategy”, gives examples. In particular, it means making consecutive bets equal to or exceeding 30% or more of the amount of the game balance (including bonus funds), until the bonus is won back. The provider considers such tactics to be an attempt to “wind up the funds”. If you have not won a wager, when requesting a withdrawal of currency, LeoVegas may also conduct additional checks. Moreover, the casino might take a commission of 5%. By accepting this User Agreement, you also assume all risks associated with the game. This point completely cuts off all the chances of success when submitting a complaint to the supervisory authorities. It’s because you agree that you are absolutely responsible for all the unpleasant consequences for you. 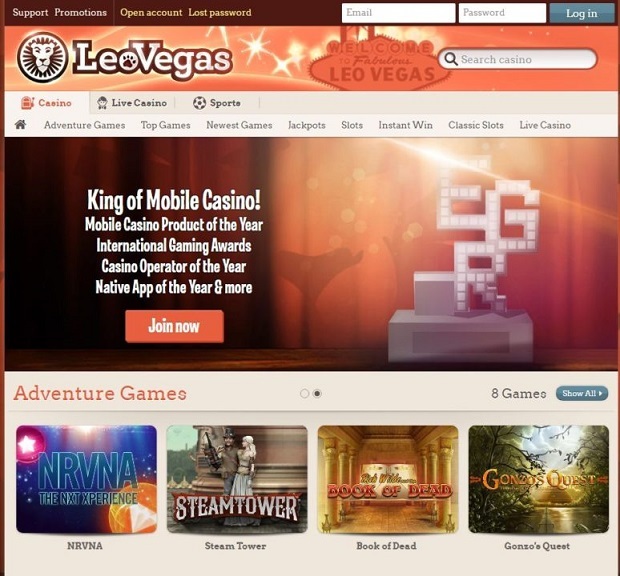 LeoVegas offers users a large choice of gaming products, high-quality software, and convenient functionality. The casino mobile app is popular and has many awards. The operator also takes the issue of licensing very seriously: few of its competitors have registration in up to three jurisdictions. 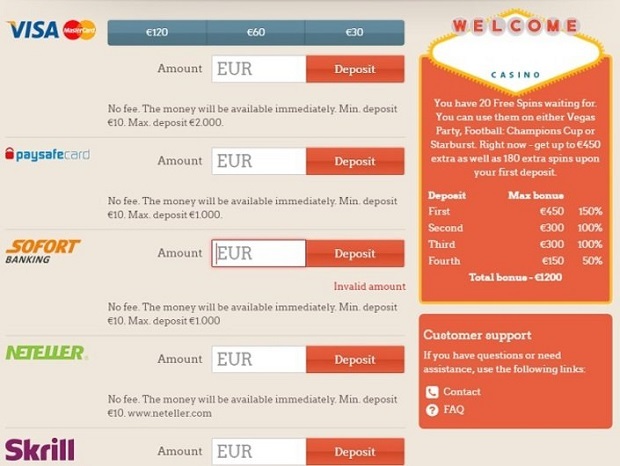 However, judging by the reviews on the Internet, everything is not so good with LeoVegas: delays in payments, problems with payouts, errors and other factors spoil the impression from the gambling joint. Additionally, the User Agreement contains clauses that can be interpreted not only as a legal defense of a company against unreasonable claims but also as an attempt to restrict the user, to deprive him of the opportunity to defend his own rights. LeoVegas is not a scam, but the casino policy does not make an impression of a completely honest organization. 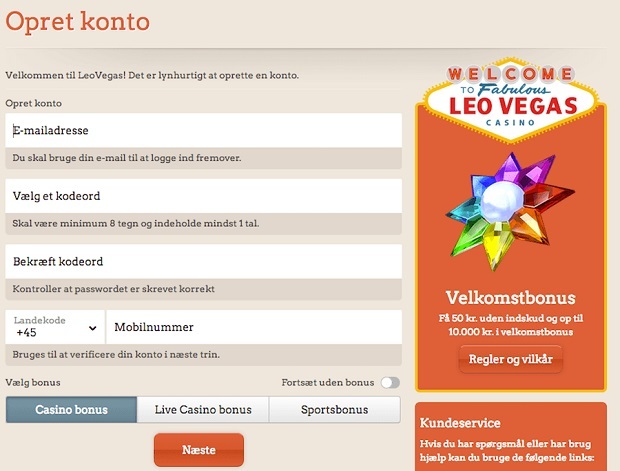 LeoVegas is popular in Europe, it has its permanent audience there. However, in other countries, this casino will hardly become widely known – at least until it adjusts its policy on users.